Bring a large pot of salted water to a boil over high. Add favas; return to boil, and cook 2 minutes. Drain beans, and immediately transfer to a bowl of ice water. Once cool, peel and discard outer skins if necessary. Pat beans dry. Transfer to a food processor, and pulse a few times until roughly chopped and sticking together. Add lemon juice. Season with kosher salt and 1/4 teaspoon pepper. Preheat broiler to high with oven rack 5 inches from heat. Arrange baguette slices in a single layer on a baking sheet. Drizzle evenly with 2 tablespoons oil, and sprinkle with kosher salt. Broil until just golden brown on the edges, about 1 minute. 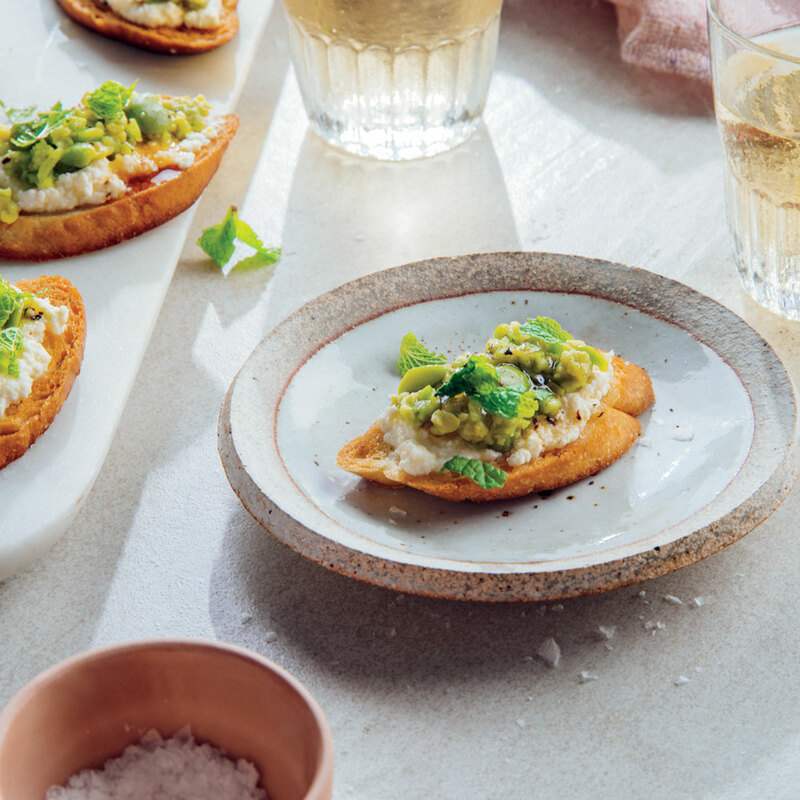 When crostini are cool, top each with a heaping tablespoon of ricotta and a rounded tablespoon of the fava mixture. Drizzle with honey and remaining 2 tablespoons oil. Sprinkle with remaining 1/4 teaspoon pepper and flaky sea salt.